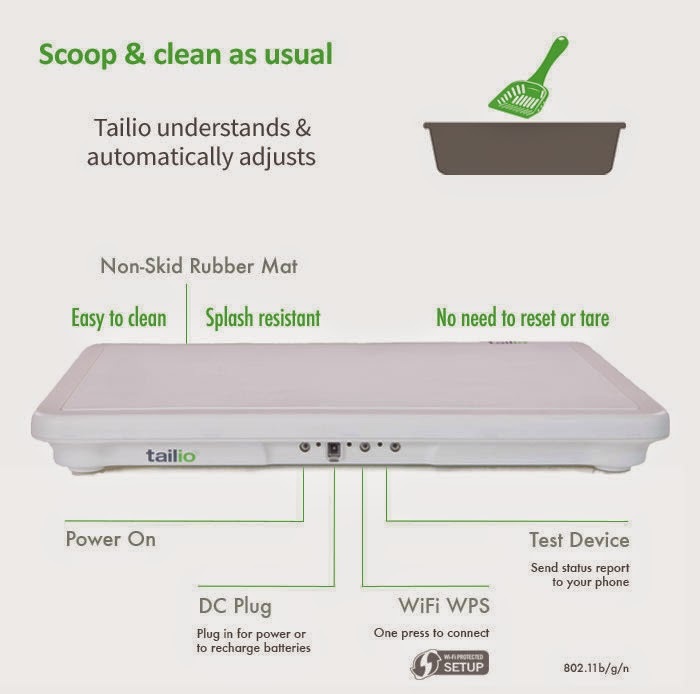 Tailio is a flat, WiFi-enabled device that's placed underneath a litter box. Each time a cat uses the box, it tracks data like weight, elimination patterns, and waste. Tailio is so smart that it even differentiates between multiple cats by creating a "pawprint" for each kitty -- an individual profile of physiology and behavior that's unique to each cat. Tailo's founder and inventor Alex Trainer says, "I know the heartbreak of discovering your beloved cat's illness too late. I knew if I could develop a device that detected signs of disease or distress earlier, that it would help owners to avoid the pain of losing their pets before their time. That's why I created Tailio." Symptoms like weight loss, increase in urine levels, rapid weight gain or general changes in litter box behavior could indicate illnesses and diseases like cancer, diabetes, kidney failure, urinary obstruction, diarrhea, constipation, hyperthyroid, and congestive heart failure. 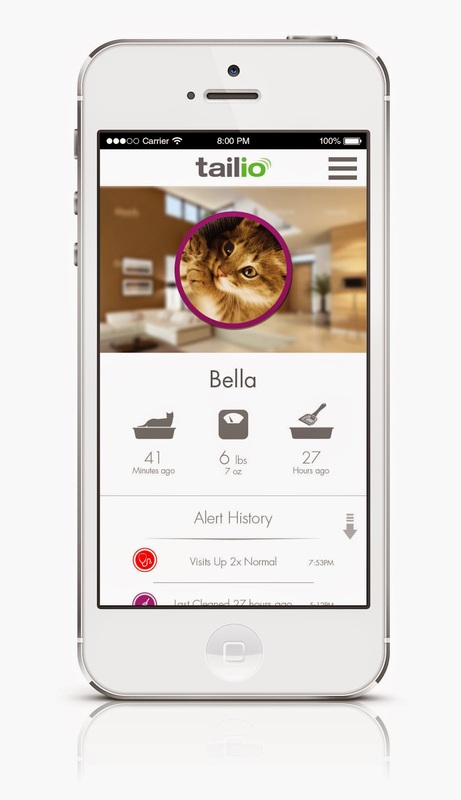 Tailio is not meant to diagnose, but gives a critical heads-up that your cat's physical health could be at risk. Always consult your veterinarian if you suspect your cat's health needs attention. And here's what you and your vet will love: You can share the data with the clinic by printing or emailing a report using the Tailio website. The team at Tailio has been busy fundraising for this smart health-monitor, and they've already exceeded their goal of $30,000, but with a stretched goal, they can provide more color options for the device (currently neutral white) as well as new features for the mobile app. Visit their Kickstarter page to learn more about Tailio and back the campaign, which ends on December 12. This post is sponsored by Tailio. I was paid to blog about Tailio, but Catladyland only shares information and products we feel are relevant to our readers. Tailio is not responsible for the content of this article.